My Scare Pal Sulley brings home the fun of Monsters University! With three unique play modes and over 15 phrases, kids can shake Sulley into Tickle Mode, Scare Mode, or Sleep Time mode. He also has two activation points in his belly. Squeeze him in different spots to hear different roars! Use both hands to squeeze him for a truly loud growl! Sulley makes the perfect take-a-long pal and has tons of facial features as you play. Watch as his mouth and eyes come to life. Sulley is full of key phrases from Monsters University and makes the ultimate scare pal! 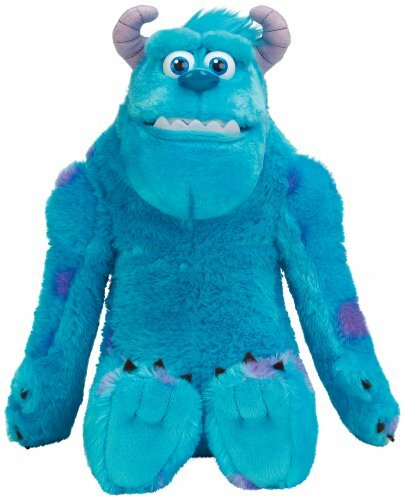 Release your inner monster with My Scare Pal Sulley!